From the distilling and brewing by George Washington, to wine making by Thomas Jefferson, it would seem that the US founding fathers new a good thing when they saw (or tasted) it. While there has been plenty of drinking at the White House, even during Prohibition, it would seem that US President Barack Obama might be the first President to have a brewery at the White House. 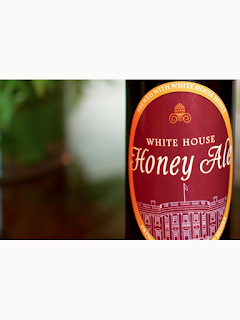 With equipment purchased by the President and the dedicated Chef's working on their own time with local ingredients, POTUS has a very special selection of brews for honoured guests.